This week I am dedicating my blog to Motherhood. With Mothering Sunday fast approaching I wanted to spend a week enveloped in Appreciation for Motherhood, in all it's guises. In a series of amazing guest posts we are hearing what Motherhood means to an array of writers. 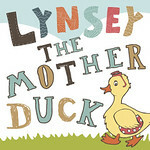 Our guest writer today is fellow blogger, Mummy is a Gadget Geek, who writes over at www.mummyisagadgetgeek.co.uk. All contact details for Mummy is a Gadget Geek can be found at the end of the article. Enjoy. Motherhood is a funny thing. The impending nature of it came as somewhat of a surprise to me, since the Wee Man was a happy accident – I certainly hadn’t had children on my immediate horizon, more as a far off fuzzy idea. But from the moment I learned he was growing inside me; despite, as my family and friends would say ‘not having a maternal bone in my body’ (I’ve never been one to go gooey eyed over babies and children always seemed to me like strange incomprehensible aliens) I suddenly felt fiercely protective of my invisible bump, my wriggly little peanut, and finally – my son. I never imagined how much of an impact such a tiny little person could have on my life, but I’m so glad I’ve had the opportunity to find out. He arrived in a rush at 11 past midnight on a Sunday morning, and once the shock of his rapid birth had worn off, I’d eaten the egg sandwich and chocolate mousse provided by the midwives, and the Other Half had been dispatched home for what was likely to be his last decent sleep for a while, I was left alone on the ward to get to know my son. The midwives told me he should sleep in his plastic cot at my side, but he was happy on my chest…and since all my instincts were telling me to keep him there, contented and sleepy, that is what I did. I will never forget that night of overwhelming awe as I looked down at his tiny restful form and realised that this amazing little boy had grown inside me, and was now outside and dependent on me for his every need. If any other person had dared deprive me of my sleep for weeks on end, they’d have felt the force of my wrath. If any other person had howled and screamed at me for protracted periods I might have walked away. If any other person had poo’d, puked and drooled on me repeatedly, I might have felt disgust*. But – despite the odd crying spell, the odd tired snap at the Other Half, the occasional overwhelming need for two minutes to myself (I am only human, after all) – what I mainly felt was a need, a desire to make sure that he was happy. Even if that did mean my clothes were crumpled and crusty and my hair looked like a birds nest. My motherhood instincts had kicked in, and although I’ve often felt I’ve had no clue what I’m doing, read conflicting advice from books and the net, and been given advice both good and bad, in general I’ve followed them and muddled through. Even more surprising to me, just over a year after he had changed our lives for ever, I kind of felt I might be ready to do it all over again…and nine months after that our lives changed again as our daughter was welcomed into the world. Just like her brother, she had a speedy entry, but this time I was prepared and able to take in more of the birth experience. And although I’d wondered how I could ever possibly feel about someone else the way I felt about my son, when she emerged I felt the same overwhelming awe as she nuzzled my chest and latched herself on for her first feed, before snuggling in my arms contentedly all night. As they’ve grown, their needs have changed, and I’ve had to change too. I can no longer be selfish as I once was, laying in til midday because I want to or sitting around playing computer games or reading a book. I do of course sometimes still do these things when given the chance (well, apart from the lying in – thanks to over three years of early starts I don’t seem to be able to stay asleep that long any more!) because I think it’s important to retain a sense of my adult self. But having children has also reminded me of how much fun the little things in life can bring, and although I think fondly of my pre-children days I don’t wish myself back to them. For instance, before, a ladybird was just a ladybird. A potentially unremarkable observation as part of an unremarkable day. But my children have reminded me how exciting it can be to see a small red thing with spots when you’re least expecting it, and even better, watch the red-and-black-spotted small thing magically make wings appear and fly away. Walking along the street singing vaguely remembered silly songs from my own childhood, I realise they’ve given me the confidence to embrace my inner child that previously sometimes hid away in fear of public embarrassment. (Although there is no denying that I was in fact fairly silly on occasion prior to my children arriving). I’ve learnt to appreciate life more, to live in the present and not the past or the future, and enjoy each minute whilst we are in it rather than wishing the time away. Whilst with the Wee Man I was – like most new mothers – eager for him to reach his milestones, and fiercely proud each time he mastered a new skill, with Bubby D I have been much more relaxed and we take things as they come. She has just this week learned to walk, and although the sight of her beaming pleased-with-myself smile lights up my day, I also have a feeling of sadness that her independence is growing and with every day that passes she is becoming more of an independent toddler and less of a baby. But if my introduction to motherhood was exciting, then watching my children grow and learn is more so. Every day the Wee Man tells me something I didn’t know he knew, and reminds me of things that I’d forgotten I knew too. Every day Bubby D learns a new word, and I remember how exciting the simple things in life can be. We may not have much money, we may have a messy house (although I can’t necessarily blame that on having kids…), I may have a baby tattoo where once my stomach was (reasonably) firm and (kind of) flat, and I may have permanent panda eyes - but every day I feel glad that four and a bit years ago, an action that took a matter of seconds has irretrievably changed our lives for ever**. I am a 31 year old mother of the Wee Man and Bubby D, who enjoys whizzing down shiny slides in the sun, finding hairy caterpillars, and kitting unidentifiable objects that were originally intended to be jumpers. If you'd like to hear more about us and what we've been up to, you can find us at www.mummyisagadgetgeek.co.uk, on twitter at @mummygadgetgeek and on facebook http://www.facebook.com/MummyIsAGadgetGeek.